Authorized Broderson Crane Parts Dealer in Texas, Louisiana, and Oklahoma. As an Authorized Broderson Parts Dealer, Scott-Macon Equipment’s Parts Department has the full support and resources of Broderson’s Parts Center in meeting your parts needs. So whether you are simply in need of everyday replacement parts such as filters, hoses, packing kits or sensors or need a special order such as a boom section, Scott-Macon Equipment is ready to assist you in obtaining the right Broderson Part to solve your service need. We stock a full line of Broderson Parts at our Parts facilities and can arrange for overnight delivery and special orders to be drop shipped to the location of your Broderson equipment. 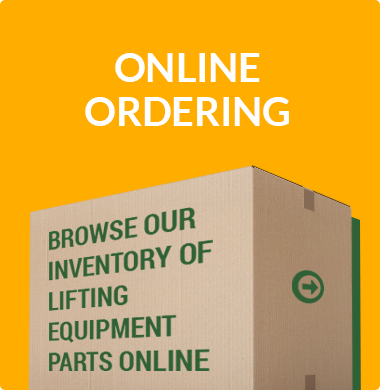 We also offers a large inventory of parts for online ordering. Scott-Macon Equipment services Broderson equipment out in the field, as well as at all of our service centers in Houston, TX; Houma, LA; Baton Rouge, LA; Tulsa, OK; Corpus Christi, TX; and Dallas, TX. In addition, our Service Centers have extensive Broderson parts operations as well as additional service capabilities to handle the more complex, less frequent repairs to all Broderson cranes and equipment. Our technicians offer services ranging from routine maintenance and accident repairs to reconditioning. Does your Broderson crane need some extra special attention? Scott-Macon Equipment is here to help at one of our six conveniently located Parts Departments in Texas, Louisiana and Oklahoma! Please email or call our Parts Department at 281-819-5907. Scott Macon is an authorized dealer of Broderson Parts in Texas, Oklahoma, and Louisiana. In addition to parts operation, we offer our customers repair services for all Broderson cranes and equipment.